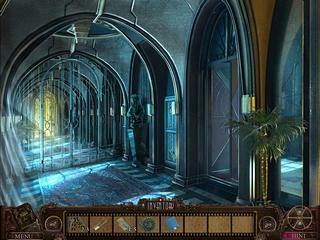 Final Cut: Death on the Silver Screen is another release into the hidden object puzzle adventure genre. There is a mystery to discover and many challenging puzzles to solve. And all that in order to save your brother from an unknown villain. You are to play as a man whose father has died and whose brother mysteriously disappeared. Then you find out that those two events are connected. 20 years after that you also meet a villain that forces you to track down an invention of your father who would invent all kinds of complicated devices. All of that is presented with very realistic characters that sometimes turn into drawings, great voice overs and and a matching soundtrack. The graphics are quite detailed and well drawn. 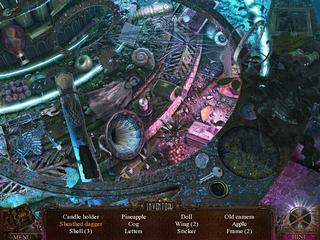 The hidden object scenes are clutered and interactive and are not too challenging, whereas it was sometimes difficult to spot the items just because of the quality of the graphics. The puzzles vary in their difficulty level. All of them are pretty enjoyable. As you explore all the locations and scenes you need to search for the special collectibles that will tell more of your father's story. The real actors and interesting story accompanied with all the tasks to solve make a very decent hidden object puzzle adventure game. There's about 15 different Alliance guild fonts, but only one Horde font. Plus it's a blibical name for destruction. What more could you want?I have some pictures for you btw, Sigi. You must wait in anticipation. This is Final Cut: Death on the Silver Screen for Mac review. Download this game here.